Imagine the current price difference between the very first 928 and the very first 911. I'm guessing they are worlds apart. The museum expressed significant interest in #1 last year when Jim brought its existence to their attention. It is remarkable that Jim and that car found each other. That's why you have a kink in your neck and bruised ribs. Last edited by Jadz928; 06-26-2012 at 04:35 PM. No kidding! An historic 911 with similar provenance, in similar condition would be 5X what the museum offered me. Then again, it would be worth more following an appropriate restoration. It was clear after talking to the museum that the don't value significant 928s on any level similar to their pedigreed brand of street cars. They cited current 928 market value in our discussions, which led me to believe they didn't understand its significance, and/or weren't ready for it. I can understand that. I'm not ready for it either, nor is the market. I'm $100K away from a $50K car! A little late to the game, but clicked the link to this thread from a post about wheels. I don't know much about 928s but this is awesome! Richmond is only 50 miles from me. Not a technical wizard but would love to somehow help. Re-living this amazing find a year later. ... Richmond is only 50 miles from me. Not a technical wizard but would love to somehow help. Don't need to be a tech wiz to sit back and kick some 34 year old tires! Wow Chris! Been a year since Locked & Loaded. That will always be a great memory. Thanks for being an integral part of it! thanks for the good read and what an awesome find! Last edited by DC 89GT; 08-15-2012 at 11:28 PM. You probably already know this by now, but it can get pretty humid inside one of those things, after a rain. I appreciate your concern. Windows and side door stay open all the time. Plastic tarp under the car. Considering its storage conditions for 20 years, prior to my ownership... I think its doin' alright. 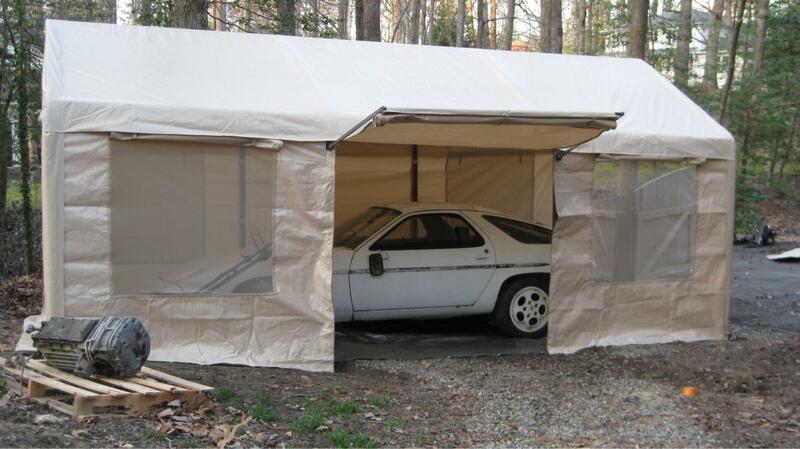 Looking for a garage for 928 Classics, local. Following that acquisition, we'll be in better shape altogether. I've come to the thread, and Rennlist, late. After seeing the press car as a boy in Earls Court, London I have finally bought a 928 of my own. A 90 GT. I'm still discovering it, this thread is a lovely way of keeping my memories of those older, earlier 928's fresh. A reminder of the DNA all of our newer cars have had passed up. Good luck with it Jim, from the UK. Found this article in a 1977 Australian quarterly mag, Sports Car World. The white car is clearly a preproduction car, and has the same dark green interior as mine. What's throwing me off is the license plate, S-04714. None of the press cars had this number (all S-CX 21**). Other curiousity is the plate is in red, whereas I've only seen black. Can anyone shed some light on this style of license plate? 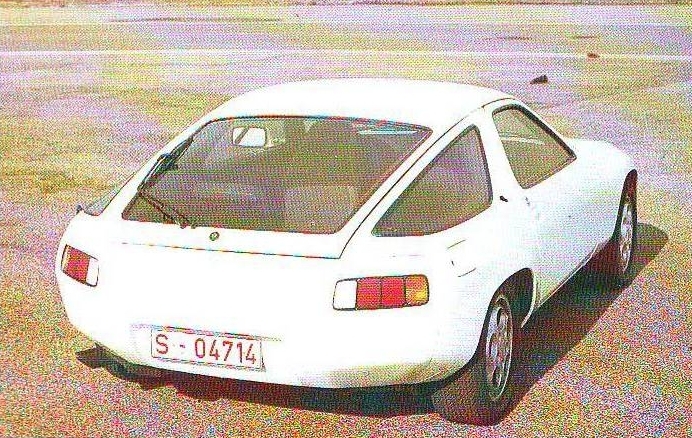 None-the-less, these are the best pictures I've seen of a white preproduction 928. Very helpful! Sorry for the poor scans, just short on time.